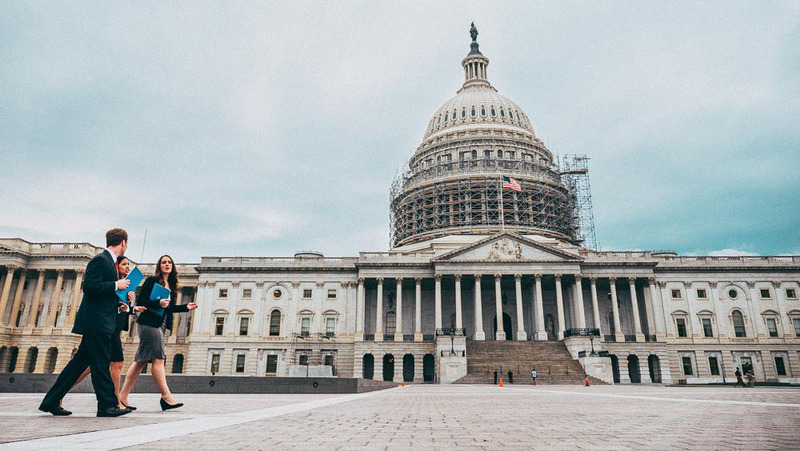 Since January, IJM advocates across the country have been gathering signatures in their communities on a petition to urge President Trump and Congress to fully fund the End Modern Slavery Initiative (EMSI). On Friday, May 5, we will deliver nearly 40,000 of these petitions to Capitol Hill in person. We will amplify our voices by storming the digital halls of power on Twitter. Research has shown that it takes as little as 10 tweets to bring an issue on the radar of Congressional staff. We will make sure Congressional offices take notice of the thousands of postcards and signatures being delivered. Join us @FreedomCommons on Twitter to follow the delivery as it happens and add your voice by tweeting to your senators and representative. Find your members of Congress here: https://twitter.com/FreedomCommons/lists. Here are some sample tweets, but feel free to craft your own. Just be sure to use the #EndSlaveryAct and #100PCC hashtags. I've put my name #OnTheLine to fight slavery. @SenatorName, please join me by supporting full FY18 funding for #EndSlaveryAct. [email protected], on behalf of myself & other advocates in STATE, please fully fund the #EndSlaveryAct. We will amplify our voices by storming the digital halls of power on Twitter.